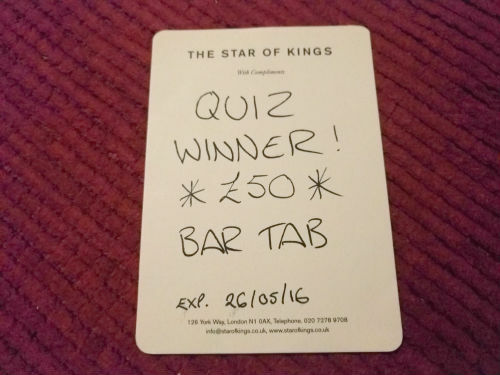 We are bringing our next North London Reading Group social forward a week to Tuesday 24 May so you can help us spend this £50 bar tab. 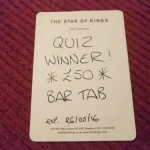 Whether you want to join a book group, are already in one, or just want to hang out with like minded folk, join us at 7pm at the Star of Kings in King’s Cross to help spend our winnings from storming the quiz at last month’s social. We’ll be catching up and swapping cultural recommendations over food and drink before having another crack at the pub’s quiz at 8pm. It’s always a fantastic night and a great way of meeting friends old and new. Get there early before our voucher runs out!